Clean water is an essential concern in Waikiki´s boosting tourist business. After a severe spill back in 2006, the local government decided to replace old pipes. For thisan ISEKI TBM is in use for the pipe jacking. 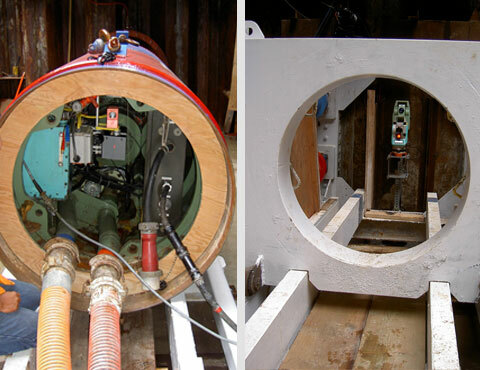 On this TBM, a PPS Guidance System was already installed for a previous job and now checked and re-calibrated. The one – thousand feet drive will be done twice in the next few weeks to end up with two parallel pipes. A speciality of this project is the use of a PPS data – logging system, storing machine data in combination with guidance data, giving the client a useful collection of information.